Ice Cube Trays – There are various types of ice cube trays available in the shops these days. Some are designed in cool shapes like stars, moons, triangles, fruits, etc. These fun shapes make it interesting for the little ones when they see these new shaped objects in their healthy shakes, milk or juices.Hence, it’s important to have few ice cube trays in nice new shapes and different sizes when you have a baby in the house. You can also freeze baby food into these nicely shaped ice cubes which will make food more interesting for babies and you can defrost it in small portions. Potato Masher – Everyone loves potatoes and they are perhaps the most used items in a baby meal. So, getting your hands on a jazzy new potato masher will not only reduce your time in doing it manually, but, it will also ensure the potatoes are mashed properly so that it’s easier for babies to eat and digest. Steamer Basket – Steamed veggies form an important part of a baby’s diet. Steamed vegetables are healthy and easy to steam in a steamer basket. It’s hassle free as they are fast to steam in and easy to clean up after. Baby food processor – This is perhaps the most essential tool of all. It helps to cook, puree and even helps in keeping food warm for a long time. So basically it does the work of steaming healthy veggies and then turns them into puree. It is important that you do some research to find out the best food processor, which will fit your needs, before you buy one. Strainer – You can use a strainer to remove peels from a variety of fresh, healthy, homemade foods for your bundle of joy. When you puree veggies, put it in a strainer to remove any peels or veggie parts which didn’t puree properly. Measuring Spoons – Measuring spoons are important to keep track of what you are feeding your baby. Most recipes will need a specific amount of each ingredient in them so a set of different sized measuring spoons will fit the bill. Freezer Bags – Freezer bags are utmost important so as to organize your fridge. Once you have frozen baby food into ice cubes, you can put them into different freezer bags. Date the bags and mention contents so that you don’t have to go on a searching spree in your freezer, every time your baby is hungry. 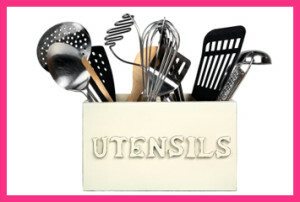 So these 7 kitchen tools are indeed essential for any household with a baby. Keep them on hand and your baby can enjoy healthy home cooked meals all the time. 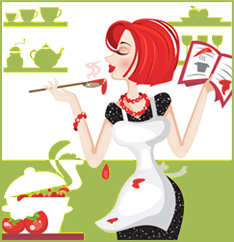 Julie Roy is writing on behalf of BestFoodProcessorGuide.net covering a wide range of food processor reviews and using guide.